Marine Gen. James Mattis' selection to serve as Secretary of Defense is a victory for America's military women. Obama can do nothing to make this so. Only Congress can, and their decision is already made. The statement was little more than a head-pat to his base. America’s daughters will not be drafted for combat with ISIS, Syria, Iran, Afghanistan, or any other woman-stoning, gay-murdering enemies. Drafting women would mean more casualties, more coming home in body bags, and more missions lost that would compromise our country’s security. 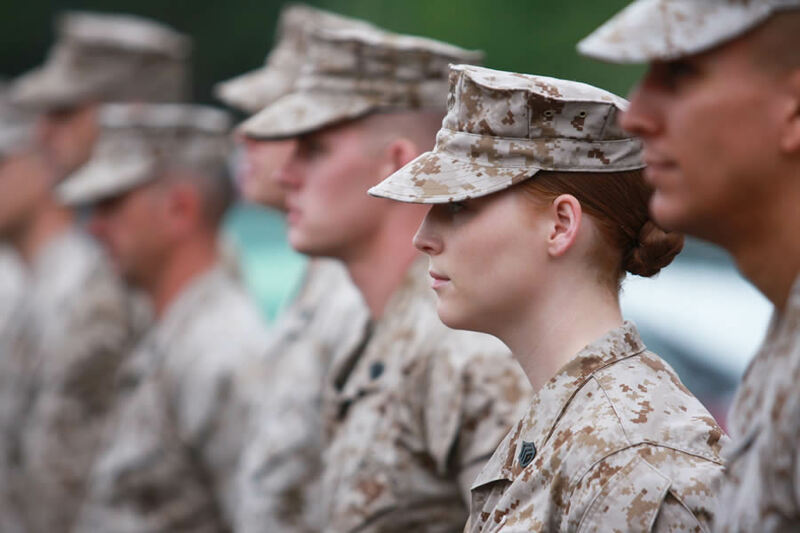 This is a victory for our military’s combat readiness and America’s young, able-bodied women, who should not be forced into being infantry replacements — the stated purpose of the draft during a large-scale war. Drafting them would require signing up equal numbers of women in all jobs — anything else wouldn’t be “equitable.” Only a tiny portion of the female population qualifies for the military as it is, and they, even having made the cut to join up, suffer an average of 2-10 times the injuries of their male counterparts. It would be a bureaucratic nightmare for nearly no return to sift through millions of young women in order to find one or two who might be able to make men’s infantry unit standards but would still be at a stark disadvantage for survival in combat. Doing the same number of pull-ups also won’t mitigate the higher rates of injury, the fact that women are higher-value targets to our current enemies, or the other disproportionate risks women face. Having equal rights under the law does not mean that men and women have the same obligations for the nation’s defense. Drafting women would mean more casualties, more coming home in body bags, and more missions lost. It would compromise our country’s security. Now Congress can get back to hashing out other provisions in the military appropriations bill like the categorization of the sage grouse. In a world where this is in the spending bill for our national defense, it’s a wonder that common sense prevailed. Another early Christmas gift is the news that President-Elect Trump has chosen Marine Gen. James Mattis to serve as Secretary of Defense. Those who know the legendary general couldn’t be happier, and enemies of freedom the world over have every reason to fear. Mattis is a bold and plain-spoken warfighter, but also a well-read and philosophical student of history and warfare. He is for American engagement around the world, but not endless military engagements with no clear plan for victory. He has a keen understanding of foreign policy and a deep affection for those who serve in America’s defense. He has not hesitated to name the enemy and believes in confronting even the most complicated military and foreign policy problems head on, rather than letting them fester for the next generation to handle. Though some are concerned over his opposition to women in combat units, and his rejection of the idea that combat deployed troops are victims broken by their service, those who care about our military’s readiness to fight our merciless enemies and the welfare of those who do so know there is no better choice than James Mattis. He takes war extremely seriously and won’t be frivolous in recommending military operations. He cares deeply for those who, as he puts it, close in on the last 600 yards of foreign policy, and their families that support them and endure their loss, injury and sacrifice. He believes in reason over impulse, in not repeating the mistakes of the past that have been learned in blood, and working with our friends and allies across the globe to ensure that savages like ISIS don’t prevail. Making America great again includes restoring a credible military able to withstand any test — and we will be tested, probably sooner than later. For reversing the decline of the military and her material, and making her combat ready again, there’s no better man for the job. Indeed, we have much to be grateful for this holiday season. These insufferable “feminists” wanted equality, didn’t they? I say, give it to them.